Health is our primary duty in life! Food supplements and medical devices that are the result of research by the research company SBM – Science of Biology in Medicine (Respirell, Gadirel and Yttiogel). 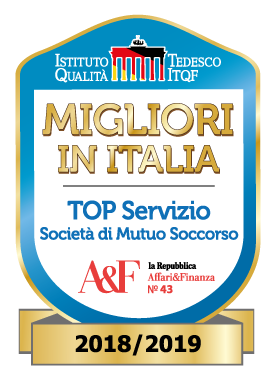 What characterises our mutual aid company is the breadth of recognised services though the subsidies designed to improve members’ quality of life, guaranteeing privileged access to treatment and services, through the provision of various types of support for the family in the event of need. 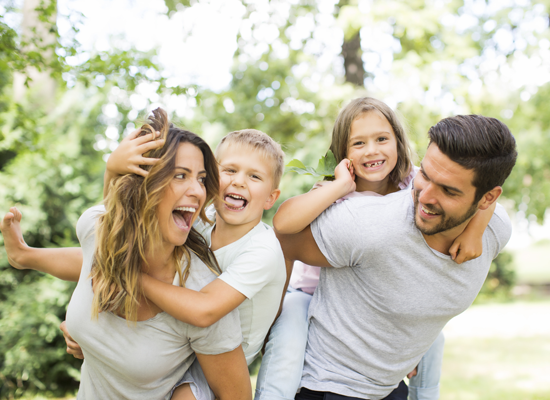 MBA has studied subsidies that differ based on specific needs, that members can adhere to individually or as a family group, including civil partnerships and cohabitants. There no age limits and no medical history questionnaire for gaining access to subsidies. 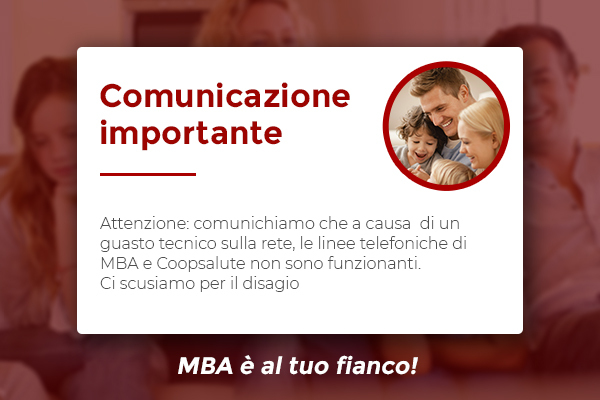 Every day, MBA works to improve the subsidies and services provided to members, in order to guarantee the best social-healthcare aid for them, paying the utmost attention to new treatments, also in light of progress in medical and scientific research. For this reason, MBA firmly believes in prevention and for years now has emphasised the social importance of it as the only tool for guaranteeing better wellbeing, not just economic, for the public. 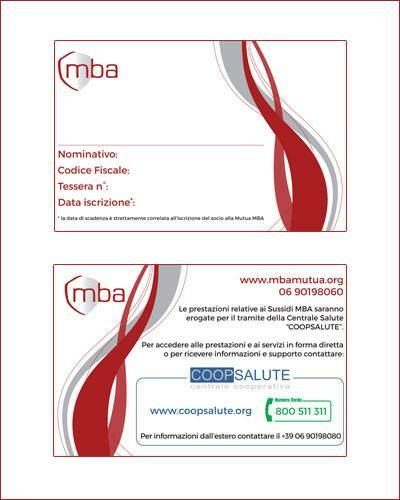 MBA provides its members with innovative services, such as: Personalised check-ups, micro and self-diagnosis system, dental prevention, eyesight checks, subsidised access to stem cell preservation. Important services available to MBA members are economic support in the event of large-scale surgery, periods spent in hospital with or without surgery, diagnostics and appointments with specialists, co-pay reimbursements. Much attention is paid to social subsidiarity: By means of specific subsidies, Mutua MBA provides aid in the event of lack of self-sufficiency, invalidity and serious illnesses. It promotes a correct lifestyle and supports family growth and member loyalty services. Mutua MBA manages funds, providing the staff, the Information Technology and operations required to manage the needs of the fund that decides to entrust itself to our skills and competence. Also, MBA has set up a number of special internal funds for improved management of projects dedicated to specific categories of members. Each internal fund has a “Technical Committee” comprising representatives of all parties involved, and can also include (based on type) separate financial statement management. One of these funds is “Cooperando”, the fund created according to the principle of article 87 of the national collective employment contract for social cooperation, that regulates additional healthcare aid for social cooperative workers. We offer our aid services to thousands of workers in the commerce, tourism, metal working sectors and in cooperatives and the service industry, via some bilateral associations, in observance of the healthcare plan provided for by the relevant national collective employment contract (CCNL). Destined for article 87 of the social cooperation national collective employment contract. Destined for members of associations, company recreational circles, trade unions. Destined for employees of micro and small enterprises. The list of partner structures is bound by enrolment of the user to the beneficiaries’ management portal. Thanks to the partnership agreement with A.M.A.T. 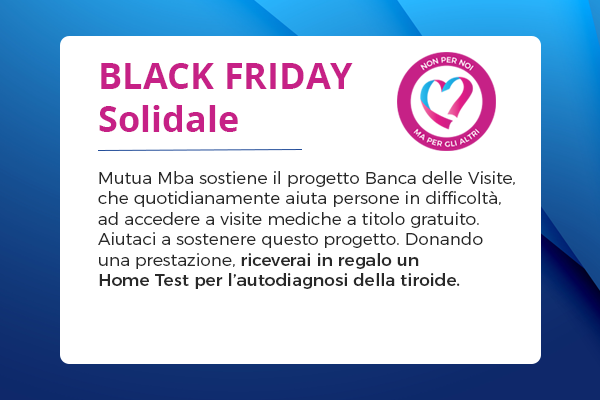 and via the relative website (www.assoterme.com), MBA members will have access to a 10% discount on all hotel services and wellbeing centres for each holiday or the entire duration of thermal treatments as provided for on the specific medical prescription. The discount about (10%) will only be guaranteed if the booking takes place via direct contact between MBA members and A.M.A.T. while services on second treatments, thermal spa centres may have discount of 20-35%. With its solid, stable and state-of-the-art corporate structure, Mutua MBA is an interlocutor for relations with other mutual aid companies, through the establishment of “Mediated Mutuality”. 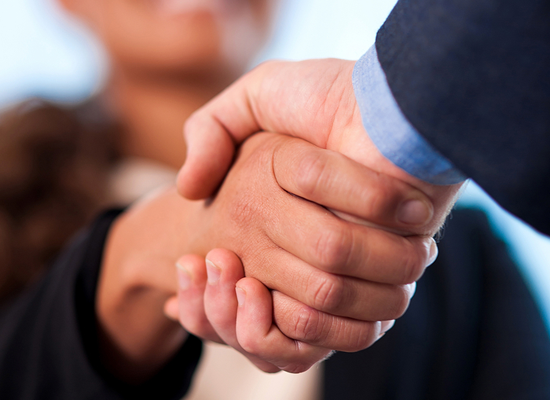 Mediated management is based on the establishment of an association relationship between the receiving company (associated company) and another more structure mutual aid company with higher assets (associating company): due to the association relationship between the two companies, members of the associated company are beneficiaries of the services provided by the associating company. To protect governance stability of the associated company and to protect the associating company’s economic stability, the people who are beneficiaries of the associating company are not members of the latter: they can however take part in the mutual aid exchange of the associating company, limited to their own contributions paid. Generally speaking, it is hoped that there will be joint-participation of the associated company in the technical progress of mediated management and, more specifically, in the decisions regarding realignment of the resources provided within suitable margins in the event of any deficit, or improvement in services in the event of management profit, and that all foreseeable risk variables are considered, the setting aside and use of reserves related to the members of the same associated company. Mediated management is also recognised for managing additional healthcare funds. The MBA card is the true “member’s ID card” through which it is possible to obtain important services for oneself and for one's family. The Mutua MBA membership card is the union between the member and the mutual aid society itself: a tool, that recalls values such as belonging and utility at the same time. The MBA card system makes use of an Operations Centre that answers calls to a freephone number 24 hours a day. Our card will be sent to each member who expressly requests it, joining not just the basic subsidies but also several aid plans that MBA provides. preservation of stem and embryo cells. 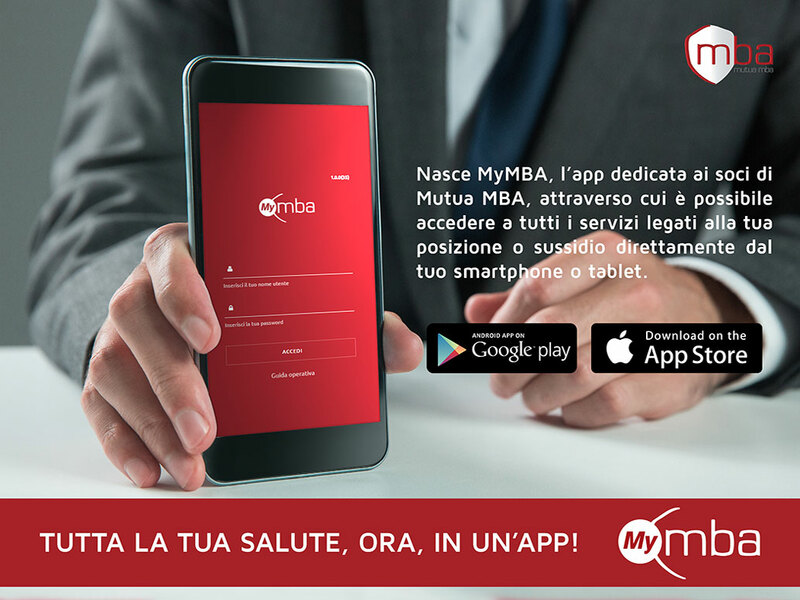 The new MyMBA app is here: a convenient, fast and easy tool to use, that allows our health insurance company members to access all the services linked to their account or allowance directly from their smartphone or tablet. 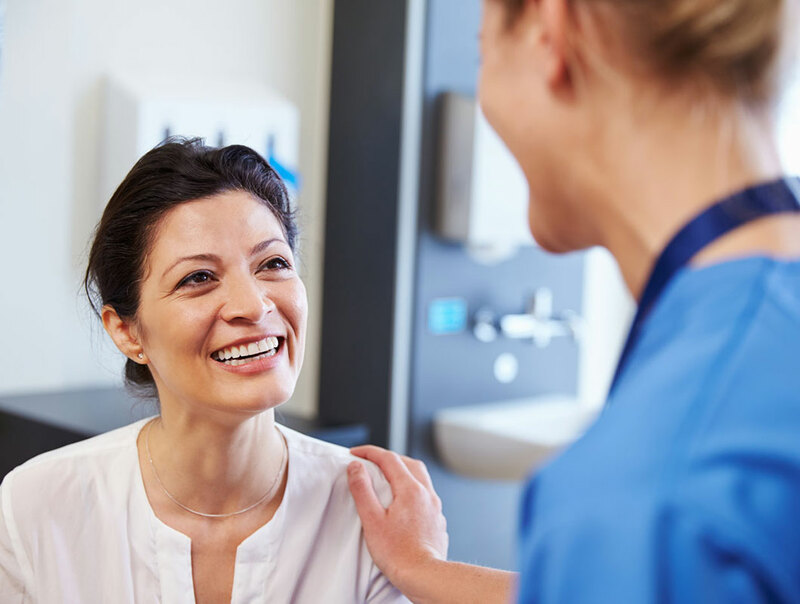 Healthcare funds are special types of assistance that guarantee benefits and particular reimbursements for healthcare costs in the event of illness or accidents, whether using the NHS or private healthcare centres. By clicking on one of the buttons below, you will be able to contact us by filling out a short form, sending us a mail or calling us.